We recognize world peace will come, not through one simple act, but rather as the final outcome of thousands of smaller undertakings. Dialogue plays a key role and we seek to encourage this with the following inspiring speakers, promoting cultures of peace in our communities. Drawing on a diverse selection of local and international speakers, the Mir Lecture Series delivers new views on community and global issues. The Mir Centre for Peace and Convergence Writers' Weekend proudly present Joy Kogawa. In these times when the media inundates us daily with new revelations of political and moral corruption, how do we as a society move beyond anger and retribution? What spiritual values can help centre us in the ground of compassion and forgiveness? 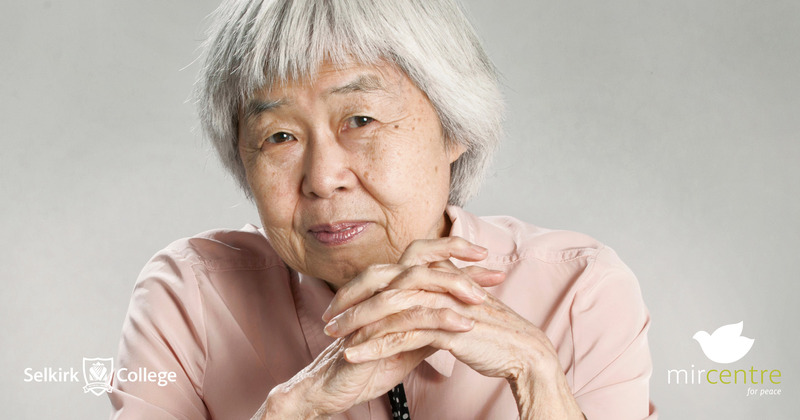 Joy Kogawa is the renowned author of Obasan and recipient of the Order of Canada. Join us for a series of presentations throughout the West Kootenay where Kogawa will discuss the personal crises that forced her to confront very challenging questions. Kogawa will be speaking about the harrowing experiences that led her to write her memoir, Gently to Nagasaki. June 8 at 2 p.m.
Tickets are available at the door for $9 adult/$7 student/senior/$20 family. Tickets are available at the door for $15 adult/$13 student/senior. 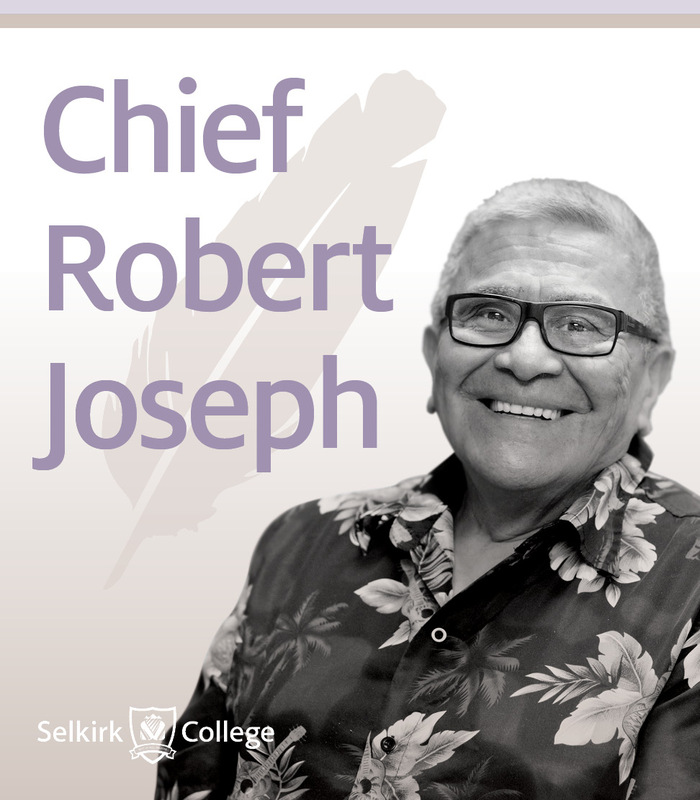 Chief Joseph is currently the Ambassador for Reconciliation Canada and a member of the National Assembly of First Nations lders Council. He was formerly the Executive Director of the Indian Residential School Survivors Society and is an honourary witness to Canada’s Truth and Reconciliation Commission (TRC). As Chairman of the Native American Leadership Alliance for Peace and Reconciliation and Ambassador for Peace and Reconciliation with the Interreligious and International Federation for World Peace (IFWP), Chief Joseph has sat with the leaders of South Africa, Israel, Japan, South Korea, Mongolia and Washington, DC to learn from and share his experience. Tickets will be available at the Capitol Theatre box office and online. Selkirk Collge Mir Centre for Peace and Indigenous Services invite you to hear Abel speak. Abel is a Nisga'a writer from BC. Currently, he is pursuing a PhD at Simon Fraser University where his research concentrates on intergenerational trauma and Indigenous literature. Abel’s creative work has recently been anthologized in Best Canadian Poetry (Tightrope), The Land We Are: Artists and Writers Unsettle the Politics of Reconciliation (Arbiter Ring), and The New Concrete: Visual Poetry in the 21st Century (Hayword). Abel is the author of The Place of Scraps (winner of the Dorothy Livesay Poetry Prize), Un/inhabited, and Injun (winner of the Griffin Poetry Prize). The Mir Centre for Peace & Nelson Restorative Justice welcome Shannon Moroney who will share her perspective on grief, judgment, stigma, and criminal justice reform. Shannon Moroney was a high school guidance counsellor in 2005 when violence tore her life apart. Her husband was arrested after confessing to the sexual assault and kidnapping of two women. Shannon faced difficult choices as she searched for a path that would lead her out of trauma and toward a positive future. After discovering the lack of help available for families of criminals, she became a restorative justice advocate who speaks on the ripple effect of crime. Since 2008, Shannon has been addressing audiences around the world. In detailing her heartbreaking story of grief, violence, judgment and stigma, she also tells the story of a journey filled with compassion, forgiveness and hope. Confronting the resurgence of fascism and white supremacy in the United States and beyond, the oppositional movement known as Antifa has recently sparked heated debate about violence, free speech, and strategies for stopping the Far Right. But what is this movement, where did it come from, and where will it go from here? 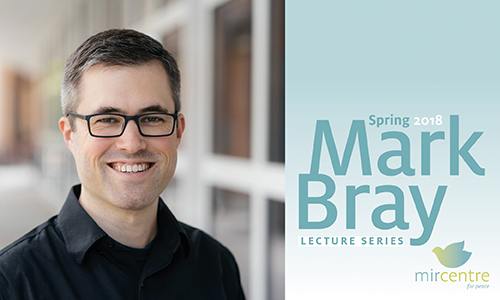 Join historian and movement scholar Mark Bray as he tackles these and other questions. Bray is a historian of human rights, terrorism, and political radicalism in Modern Europe who was one of the organizers of Occupy Wall Street. Bray is the author of Antifa: The Anti-Fascist Handbook, Translating Anarchy: The Anarchism of Occupy Wall Street, and is the co-editor of Anarchist Education and the Modern School: A Francisco Ferrer Reader. His work has appeared in the Washington Post, Boston Review, Foreign Policy, Critical Quarterly, and numerous edited volumes. He is currently a lecturer at Dartmouth College. To learn more about the Mir Lecture Series, contact Cara-Lee Malange at 250.365.1261.